Meanwhile, the SEC charged a California-based securities salesman for selling millions of dollars in oil-and-gas investments without being registered. Gurudeo Persaud is in prison for misleading clients about his astrology-based strategy and for running a Ponzi scheme. Among recent enforcement actions, the SEC barred an investment advisor who failed to tell his clients that he used astrology to determine his investment strategy, and after a jury trial, the Wyly brothers were found guilty on SEC charges of using offshore trusts to hide stock holdings and exceed trading limits. In addition, the SEC charged a Tiburon, Calif.-based securities salesman for selling millions of dollars in oil-and-gas investments without being registered with the SEC as a broker-dealer or associated with a registered broker-dealer, and the agency took action on two cases of insider trading. The SEC has barred an investment advisor who based his investment strategy on cycles of the moon and the gravitational attraction between the earth and the moon, but failed to disclose that fact to clients. Gurudeo Persaud, who is already serving three years in prison for fraud after the SEC found that he was basing investment decisions on gravitational forces of the planets, failed to advise clients of his method, used client money to pay his own expenses and ran a Ponzi scheme, settled with the SEC and agreed to be barred from the industry. Persaud had started his own company, White Elephant Trading Co. LLC, while still with Money Concepts Capital Corp., and used White Elephant to solicit investments of more than $1 million. Half of this went to pay Persaud’s own expenses, and what he did invest was based on lunar cycles and gravitational forces rather than more conventional investment strategies. He promised returns of between 6% and 18%, and of course failed to deliver on those promises. After an investigation on how the bank allegedly helped Americans evade taxes, Credit Suisse Group AG is expected to plead guilty and fork over $2.5 billion, with the Justice Department garnering $1.7 billion. Other agencies getting a slice of the penalty are the New York State Dept. of Financial Services ($600 million) and the Federal Reserve ($100 million). While the deal is not yet set, the financial industry is concerned not just about the dollars involved but also the fallout from a guilty plea. Such a plea could open the door to revocation of a bank’s charter, although regulators are said to be working to be sure that doesn’t happen — since the eventual result could force the bank out of business altogether, not to mention what the repercussions of such an eventuality would be on the economy. The tough stance Benjamin Lawsky, head of New York’s agency, has taken on financial wrongdoing is the reason the Dept. of Financial Services is pulling in so much more of the settlement than the Federal Reserve. Earlier reports said Lawsky’s agency alone had asked for a penalty of $2 billion. New York had launched its investigation after a U.S. Senate report put the number of Americans evading U.S. taxes with the help of the bank at more than 22,000, with assets topping $12 billion. The report also said that Credit Suisse bankers came from Switzerland to the U.S. specifically to recruit American clients. The SEC charged a Tiburon, Calif.-based securities salesman for selling millions of dollars in oil-and-gas investments without being registered with the SEC as a broker-dealer or associated with a registered broker-dealer. Behrooz Sarafraz has agreed to settle the SEC’s charges by paying disgorgement of his commissions, prejudgment interest, and a penalty for a total of more than $22 million. According to the SEC’s complaint filed in federal court in San Francisco, Sarafraz acted as the primary salesman on behalf of TVC Opus I Drilling Program LP and Tri-Valley Corp., which were based in Bakersfield, Calif. From February 2002 to April 2010, these companies raised more than $140 million for their oil-and-gas drilling venture. While Sarafraz was raising money for these entities, he was not associated with any broker-dealer registered with the SEC. According to the SEC’s complaint, Sarafraz worked full time locating investors for the Opus and Tri-Valley oil-and-gas ventures. He described the investment program to investors and recommended they purchase Opus partnership interests or securities of Tri-Valley and its affiliated entities. In return, Sarafraz received commissions that ranged from seven to 17% of the sales proceeds that he and members of a sales network generated. The SEC alleges that Opus and Tri-Valley paid Sarafraz approximately $18.3 million in sales commissions. He paid approximately $1.9 million to others as referral fees and kept the remaining $16.4 million. Sarafraz has agreed to settle the SEC’s charges by consenting to entry of a final judgment ordering him to pay a total of $22,482,318.87 without admitting or denying the allegations. The sum consists of $16,406,459 in disgorgement, $6,075,859.87 in prejudgment interest, and a $50,000 penalty. The final judgment will also permanently enjoin him from violating Section 15(a) of the Exchange Act. The settlement is subject to court approval. Check out Selling Stock Without a License on ThinkAdvisor. A jury in Manhattan federal court found Samuel and Charles Wyly guilty of using a maze of offshore trusts to illegally hide their stock holdings and evade trading limits. Samuel Wyly, together with his brother Charles’ estate (Charles died in a car accident in 2011), could be liable for up to $550 million — the amount the SEC is seeking to recover in what it says are ill-gotten gains. The judge, U.S. District Judge Shira Scheindlin, has set a trial date for August to determine how much the pair could be made to pay; she will also decide whether they are guilty of insider trading. The SEC has charged three founders of Lawson Software with insider trading for taking unfair advantage of incorrect media speculation and analyst reports about the company’s acquisition. According to the agency, Herbert Richard Lawson, the firm’s co-chairman, tipped his brother William Lawson and family friend John Cerullo, who had both retired from the company in 2001, with nonpublic information about the status of the company’s 2011 merger discussions with Infor Global Solutions, a privately held software provider. Media speculation, based on a “market check” conducted by Lawson Software to gauge interest in a possible acquisition, said that multiple bidders might weigh in on the deal, sending Lawson Software’s stock price higher. However, Richard Lawson knew that the market check had brought little interest in acquisition by other parties. He knew there was only one bidder, and that the bid was substantially lower than estimates reported in the media based on speculation about the possibility of a bidding war. He passed along what he knew. William Lawson took advantage of the knowledge to cash in on the inflated stock prices, and also suggested to another trader that he should also sell the company’s shares. The two together made more than $2 million before the stock price fell 8.7% on accurate reporting of the amount of the sole offer. Without admitting or denying the SEC’s allegations, Richard Lawson has agreed to settle the charges by paying a penalty of $1,557,384.57 for tipping his brother and Cerullo — equivalent to the ill-gotten gains of the pair — and to be barred from serving as an officer or director of a public company. William Lawson will pay disgorgement of $1,853,671.28, prejudgment interest of $162,442.60, and a penalty of $1,853,671.28 for a total of $3,869,785.16. William Lawson’s disgorgement amount includes the ill-gotten gains of the other trader who he suggested sell shares. Cerullo agreed to pay disgorgement of $178,481.29, prejudgment interest of $15,640.81, and a penalty of $178,481.29 for a total of $372,603.39. Derek Cohen, Robert Herman, and Michael Fleischli, three former sales managers at Qualcomm Inc., have been charged by the SEC with insider trading after they used nonpublic information to buy stock ahead of an acquisition announcement. The agency said that the three learned through company emails that a big announcement was in the works. During a sales meeting later, it was announced that Qualcomm was in negotiations for the acquisition of Atheros Communications. The three bought Atheros stock on Jan. 4, 2011, never having owned any of the company’s stock before. That afternoon the news began to leak, and the stock price began to rise. After the official announcement on Jan. 5, Atheros stock was up a total of 20%, at which time the three sold their shares. Cohen’s illegal trading profits mounted to more than $200,000, and Herman and Fleischli made profits of $30,000 and $3,000 respectively. In a parallel action, the U.S. Attorney’s Office for the Southern District of California has announced criminal charges against Cohen and Herman. 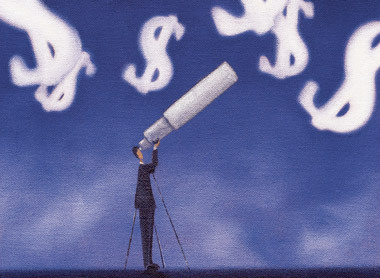 Check out It Pays to Fight Back Against SEC, FINRA: Survey on ThinkAdvisor.